Originally published 12 October 2017. This is the year of significant anniversaries marking the Australia–US relationship. In May we commemorated the 75th anniversary of the battle of the Coral Sea and more recently the 50th birthday of the joint facilities, led by Pine Gap, which the late Des Ball aptly described as the ‘strategic essence’ of the American alliance. Last month Defence Minister Marise Payne gave a shout-out for the 50th anniversary of the first of the joint facilities, the North West Cape Naval Communication Station, named for the late Harold E. Holt, one-time Australian prime minister. The Polaris/Poseidon nuclear-powered ballistic-missile submarines that North West Cape once serviced are long gone. It still closes a gap in the worldwide reach of US submarine communications, but the main users now are our submarines and American nuclear-powered attack submarines. The RAN now runs the facility remotely out of HMAS Stirling. At its installation, however, North West Cape triggered a reorienting of Labor Party defence policy in a direction pursued by every Labor government since. Less remarked on, the opening of North West Cape effectively ended debate on whether or not Australia would seek its own nuclear defence. The Labor Party debate over whether and under what conditions a Labor government would persist with the new base generated profound changes in the ALP’s policy and the policymaking structure. North West Cape focused debate at a time of major developments in the structure of US strategic forces and global debate on nuclear weapons. Labor policy in the early 1960s was a product of the federal conference in Hobart in 1955. At that time, the ALP split, spinning off what became the Democratic Labor Party. The foreign policy adopted by Labor, while not repudiating ANZUS, reflected the orientation of the party’s left-wing towards non-alignment in global politics. Australian government negotiations over North West Cape coincided with a wave of global enthusiasm for nuclear-free zones and test bans as nations wrestled with the prospect of nuclear non-proliferation and disarmament. Significant for Australia was a proposition before the UN for a nuclear-free zone in the southern hemisphere. Those in the ALP motivated by practical support for the alliance and/or electoral concerns were in a struggle with a left-leaning orientation in the 1955 platform that would welcome such initiatives. Internal debate in the ALP from 1955 followed a tortuous path on the key issue of exactly where the party’s policymaking authority should be located—in caucus, at the federal executive or at a party conference. The matter was finally decided at a special conference in Canberra in March 1963. Two individuals at that gathering played a critical role. One was the late South Australian politician Don Dunstan. The left dominated the federal executive, but they appointed a committee to report a resolution on the matter to the special conference, which gave Don Dunstan the swing vote. That resolution ultimately carried the conference. The party resolved to support North West Cape with a number of ‘sovereignty qualifications’ concerning the extent of Australian knowledge of and concurrence with its operations. The other critical figure was J.E. Duggan, the Queensland Labor leader, who broke with his delegation to change an 18–18 tie at the conference to 19–17 in favour of the resolution. Dunstan later explained his position: ‘That alliance with a power possessing nuclear arms and delivery systems means that we must grant communications to those systems.’ Not to do so would render ANZUS meaningless. And that, he added, would not ‘ensure the adequate defence of Australia at a time when continued communist expansion in South East Asia [has] to be seriously contemplated’. The raucous debate in March 1963 would prove particularly damaging to Labor’s political fortunes. A photograph published in the Daily Telegraph of federal party leader Arthur Calwell and deputy leader Gough Whitlam standing outside the hotel where the special conference was taking place led to the lethal political line from Labor’s opponents that ALP policy was being determined by ‘36 faceless men’ rather than the elected leaders. It didn’t appear to matter that the policy eventually agreed on was clearly in tune with the US alliance and public opinion. The party’s electoral defeat in November 1963 ultimately led to the decisions to include Labor’s parliamentary leaders in the party’s federal conference and to put parliamentary members on its committees. The ALP’s federal structure, then comprising six delegates from each state, was overhauled, resulting in the current national conference structure which more accurately reflects Australia’s population distribution. Less dramatic but equally significant, the commissioning of North West Cape determined our strategic posture. We opted for coverage by the US system of extended nuclear deterrence. The alternatives were non-alignment with little interest in defence; an ‘armed and neutral’ defence policy; or an independent nuclear deterrent. On the first, Gough Whitlam argued in his seminal 1968 pamphlet Beyond Vietnam: ‘An isolationist Australia would be rich, selfish, greedy, racialist and reactionary. Beyond doubt we would be protecting this sort of society with the nuclear bomb.’ On the last, the 1960s Liberals seriously contemplated a nuclear weapon. Regarding nuclear-free zones, Liberal foreign minister Garfield Barwick declared that ‘Australia cannot undertake that under no circumstances will Australian forces in the future be armed with nuclear weapons’ (quoted in Calls to the deep: the story of Naval Communication Station Harold E. Holt, Exmouth, Western Australia, Brian Humphreys, Defence Publishing Service, 2006). Barwick had Chinese nuclear capabilities in mind. Prime Minister John Gorton went into the 1972 federal election campaign refusing to sign the Nuclear Non-Proliferation Treaty. Whitlam signed it on election. 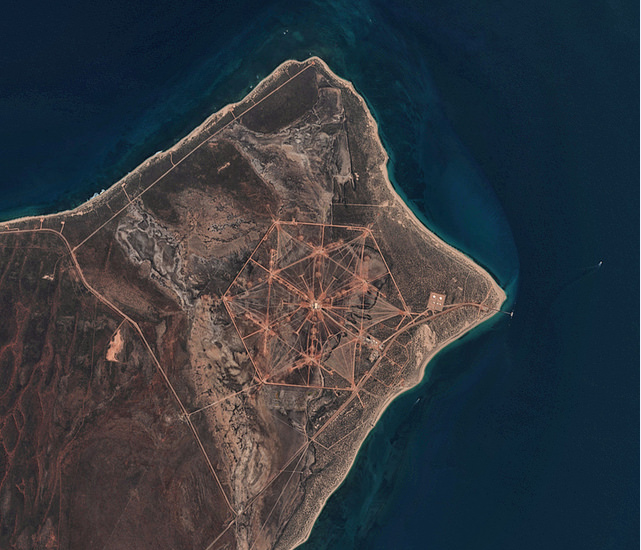 After an altercation with the Nixon administration over the use of North West Cape, the Whitlam government strengthened its oversight of the facility’s operations by placing RAN personnel in the control room in 1974. Labor supported North West Cape as it enabled a stabilising, invulnerable US second-strike capability. By the 1970s the facility had also become critical for communications with Australia’s own submarines. We came full circle in 1992 when Australia took over the facility’s operations. Almost my last act as defence minister was to write to US secretary of defense Richard Cheney to set that process in motion. Kim Beazley is a distinguished fellow at ASPI. He served as Australia’s minister for defence from 1984 to 1990. Edited image courtesy of Flickr user Antti Lipponen.